MY WEBSITE HAS REAL TIME INVENTORY. IF IT DOESN'T SHOW THAT IT'S SOLD OUT AND YOUR ORDER GOES THROUGH IT IS IN STOCK AND IT WILL GO OUT ASAP. Free shipping special: Purchase any Hogue grip, Maglite flashlight, Fisher Space Pen, McFadden Ultimate Clip Loader or Baby UpLULA and get free shipping on your entire order. .375 H&R Magnum, .338 Lapula, .375 H&H Magnum. With free shipping. The pen writes underwater, upside down, at any angle, from -30 F to +250 F, over grease and 3 times longer than the average pen. The pens are unconditionally guaranteed by Fisher Space Pen. McFadden Ultimate Clip Loader .22 Long Rifle $18.95 each. Mec-Gar is the original equipment manufacturer of magazines for many of the prominent firearm manufacturers over the past 40 years. The have supplied magazines to: AMT, Armscor, Astra, Beretta, Bernadelli, FN Browning, Bul, Colt, CZ, IMI, Kel-Tec, Kimber, Llama, North American Arms, Remington, Ruger, Sig Sauer, Smith&Wesson, Springfield Armory, STI, Standard Arms, Steyr, Tanfoglio/EAA Witness, Taurus and Walther. These are top quality magazines that will function flawlessly. Mec-Gar Plus two adapters: Polymer for Optimum magazine, Sig P228 and Sig P229/Sig Pro $9.95 each. Mec-Gar aluminum +2 adapters made magazines with a polymer base pad and the magazines with a metal base plate $24.95 each (more details on my website). (This also works in the Charles DalyM-5 Ultra-X 1911 45acp 3.15" Compact Polymer Frame as an extended magazine). ACT-MAG magazines are supplied as O.E.M. magazines by many manufactures of 1911. 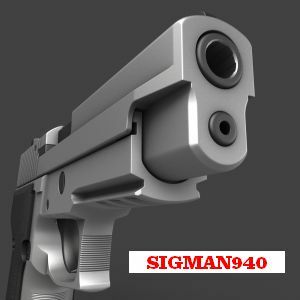 Among the companies that have used them are S&W, Rock Island Armory, STI, Night Hawk, Spartan, Charles Daly and others. They make top quality reasonably priced magazines. 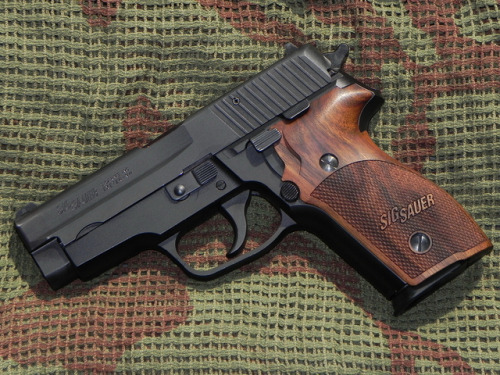 Most Hogue Sig Sauer G-10 grips are $93.46 or less. Magazines are only shipped where they are legal and all orders are only shipped within the USA. Shipping is a flat fee of $6.95 per order. Your satisfaction is guaranteed. To order or for any questions you can e-mail me at gusaoz@yahoo.com or give me a call. I can take payments via the mail or VISA, Master Card and Discover credit cards by phone or fax. You can also order on line at GregCoteLLC.com . Bought some hougue g-10 grips and a magazine from your website. Shipped out the next day. Thanks. I ordered 2 mags late last night and received an email at 8:56 this morning notifying me that they had shipped. BTT for a great merchant. Those ACT-MAG mags for the P220 8rds are nice. Have any of these left? I'll be needing some. Plenty of those in stock. My website will say sold out next to anything that isn't in stock. Received my order. Greg took care of a minor shipping snafu quickly and professionally. I'll be visiting your site again. Can you get any 239 9mm? Sorry I haven't been able to get a good price on them, don't know if that will change. Any magazines for Ruger PC4, Greg? Sorry I only have the Mec-Gar magazines for the PC9. Mec-Gar doesn't offer any magazines for the PC4. Super service and attention to detail, and way-quick shipping. Any chance you'll be carrying the Magpul G17 magazines? Saw them at SHOT and they look like winners. ...even a .22 in your pocket is better than a .45 in your truck. No plans on stocking them at this time. For now I am just going to stick to the Glock factory magazines. Just placed an order for 5 18rd sig p226 Mec Gar magazines. Looking foreword to their arrival. Good Old Greg sept he moved to FL now I have to pay Tax.